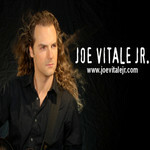 Sign up for Broadjam today to follow Joe Vitale Jr., and be notified when they upload new stuff or update their news! 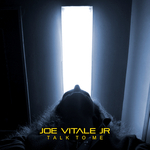 Written & Performed by: Joe Vitale Jr. 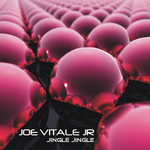 Produced By: Joe Vitale Jr.
Mixed By: Joe Vitale Jr & Joe Vitale Sr. 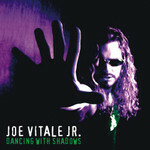 Dancing With Shadows is the debut album of Industrial-Classic Rock artist Joe Vitale Jr.
Several years ago I decided to make an Industrial Christmas album. I was originally doing this as a project that I could give out to my friends as a gift that year. After working for several days on various Christmas songs I came to one of my favorites, "Jingle Bells," and thought it would be fun to perform it the way Nine Inch Nails might. After a few hours of recording and trying various ideas, I came up with what I now call "Jingle Jingle." I decided to release it this year after a lot of my fans on MySpace and Facebook had requested I post it each year. So now after several years of work and final mastering, I bring you "Jingle Jingle". Merry Christmas everyone! !